This recipe is much like the recipe for strawberry lemonade that I made for my son's first birthday except that it has raspberries instead, and there's a little extra work involved once you puree the raspberries. In a pot on the stove and combine the sugar and the water over medium heat to make a syrup, stirring occaionally until the sugar is completely dissolved. Let it cool before using it. While you are combining the sugar and water you can squeeze the juice out of your lemons. You will need between 8-10 lemons to get a cup of juice. 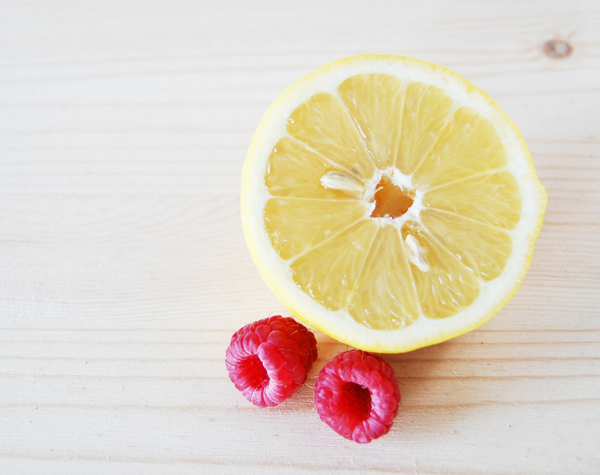 Once you've got your lemon juice, you can puree your raspberries using a blender. I put a little bit of water in with the raspberries to help them puree a little better. Strain your raspberries through a mesh strainer to get rid of most of the seeds -- the lemonade is alright with the seeds in there, but there are a lot of them and it is much more pleasant without them. Add the raspberry puree, lemon juice, syrup and 4-6 cups of cold water into a pitcher and stir it all up. I originally made this recipe for sparkling raspberry lemonade, but I decided to double the syrup as I found it a little bit tart. It tastes just a delicious with water, too. Thoughts on "Boys Will Be Boys"